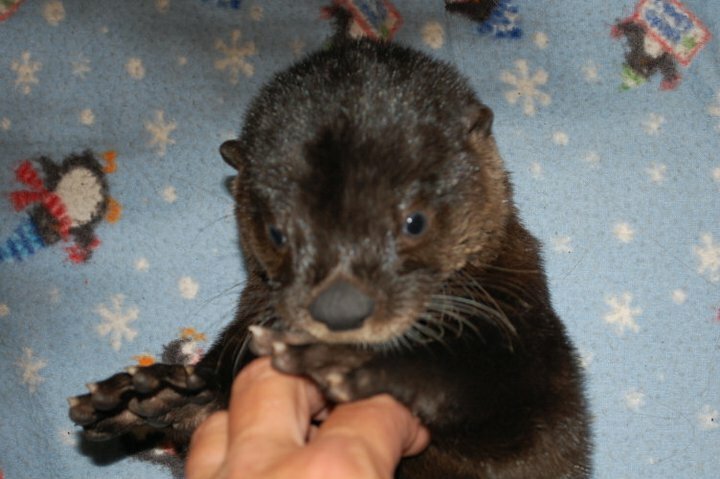 Otto the Otter: in his early orphaned days. You never know who your neighbors will be when you're going nomad. I missed out meeting on this guy; he came and left before my time. Bertie, one of my walking buddies here in Ortega Marina, Jacksonville adopted an abandoned baby otter in the hopes of helping him return to the wild. That's not quite how it turned out, but there is a happy ending anyway. Check it out when you click this link. As for "what would you like to see" on Galley Wench Tales? MORE FOOD!! Yeah... this working stuff does wreak havock with my blog posts.... Only so much writing time outside of what's on deadline. Any more published articles in the hopper? It was so cool to see your in Blue Water Sailing! Oh, if it's any consolation, we've alternated between rain & thunderstorms and heat indexes as high as 107. That aside, actually am enjoying Jacksonville. Smooth sailing & fair winds to you! No new articles at the moment.... but I'm sure there are more to come! When you get back to Dominica, you don't need follow in anyone else's footsteps (ours included!) just spend a lot of time there and enjoy getting to know the Dominicans. They love their island and are happy to share information on their favorite beautiful places to go! When we weren't getting pestered to purchase a tour, we very much enjoyed the Dominicans we met. The Pitons left us a little too sensitive to that, so we didn't stick around Dominica very long.